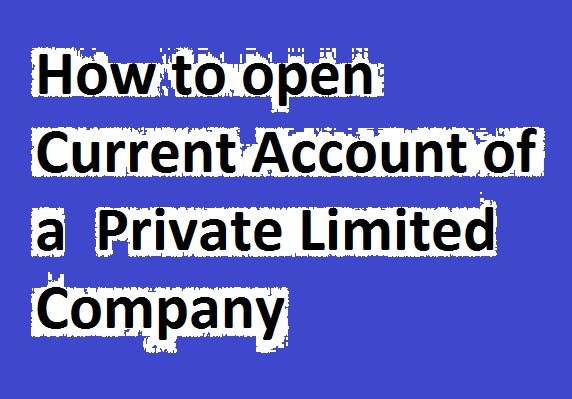 Current Account of a Private Limited Company: A Company is an association of a number of persons formed for some common purposes and registered under the provision of the Companies Act 1994 Company does not dissolve by death, insolvency, or lunacy of any of its member. Restricts the right to transfer the share. Prohibits inviting the public to subscribe for the shares. Letter of incorporation is enough to start the business. Filling the prescribed Account opening Form along with the specimen signature card, KYC and Profile Form. Copy of Memorandum and Articles of Association duly certified by the Secretary/Director of the company. Certified copy of the resolution of the Board of Directors regarding opening execution of papers, and conduct the A/C. List of Directors under the signature of the Chairman. Copies of latest financial statements. Note: Memorandum and Articles of Association should be thoroughly examined and right, functions, duties and responsibilities of the Directors be ascertained for allowing the Company to operate its account when a banker is requested to open an account of a limited company a copy of resolution by which the authority has been given by the Board of Directors should be obtained which must be the Facsimile copy of the resolution recorded in the minute’s book of the company and signed by the chairman of the Board. 2. Number of members seven to unlimited. 2. Number of members-two fifty. 3. Can make invitation to the public for subscription of shares. 3. Cannot make such invitation. 4. It needs statutory meeting and reports. 4. No outsider is a member, it does not require statutory meeting of submission of statutory reports. 5. Publish financial statements 5. Financial statements are not open for Inspection to public. 6. It has no restriction to transfer of shares. 6. It has restriction to transfer of shares.